As might be expected in a TV dramatisation of the life of Pablo Picasso, one of the most celebrated artists of the 20th century whose work was defined by the use of different colours during specific periods of his career, colour grading played a major part in the post-production of the series. The story of the acclaimed Spanish artist was told in the second season of National Geographic’s Genius strand and featured grading on FilmLight’s Baselight system. Genius: Picasso was screened on National Geographic between April and June this year and followed 2017's well-received first season about Einstein, starring Geoffrey Rush. Season Two boasts Antonio Banderas in the title role, with Clémence Poésy as the artist's lover and muse Françoise Gilot and Alex Rich as the young Pablo. It was directed by series co-creator Ken Biller and executive produced by Ron Howard and Brian Grazer. The series was shot by director of photography Mathias Herndl on an ARRI Alexa digital camera and graded by Pankaj Bajpai on FilmLight Baselight. Both worked on series one, which was set in Germany and, naturally enough, had a very different look to the settings of Spain and Paris, which feature heavily in Picasso's story. Baijpai comments that the production was "anchored in the quality, colour and texture of the Spanish light in Malaga", which was Picasso's home town. Beginning in the late 19th century and tracing the artist's life up to his death in 1973, the production had to reflect different times and locations. "A key challenge was to maintain the authenticity of the period and yet somehow keep a contemporary flair," says Bajpai. "We start with Picasso's father and his memory of bullfights - it's all incredibly warm. Then Picasso as a young man, with many candlelit interiors. Toward the very end the palette becomes spares and cold, as his life becomes more isolated." Working at Encore in Hollywood, Bajpai graded on a Baselight workstation running version 5.0 software incorporating Base Grade. Launched last year, Base Grade was designed to replace Lift, Gamma and Gain and is HDR-ready. "It allowed me to approach grading using the classic zone system for the first time," explains Bajpai. 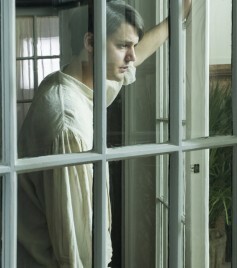 "There are many scenes in the show where there are old European-style big and bright windows. To be able to maintain details in the high, high highlights and low, low lowlights and keep everything in between was unbelievably fast and clean." Genius: Picasso is currently available on Amazon Instant Video. A DVD/Blu-ray Disc release is yet to be confirmed.